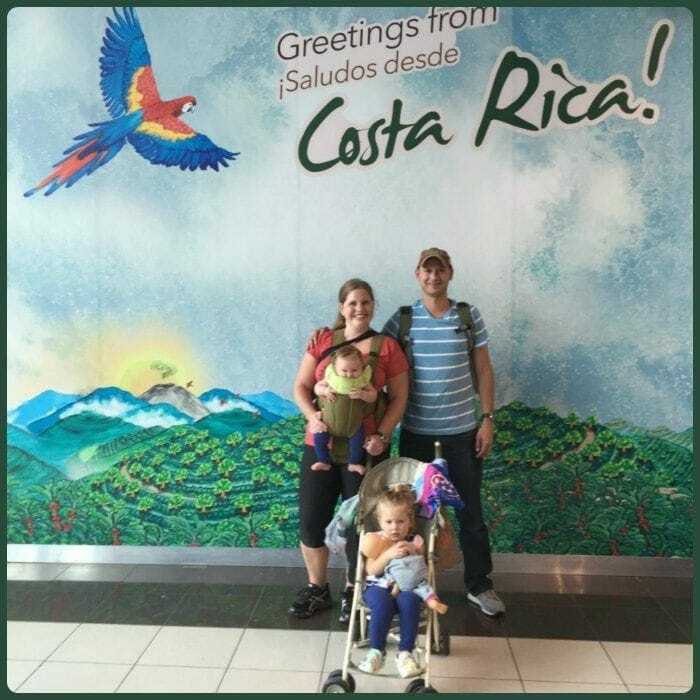 5 Tips For Clearing US Customs and Immigration- through the story of one Costa Rican couple’s failure to clear US Customs and Immigration- and how it’s legal to search cell phones during the customs process. Almost 20 years ago I moved to Costa Rica to learn Spanish, and it was one of the best decisions I have ever made. Being completely immersed in the Spanish language meant that I mastered Spanish in about 4 months. My ability to speak perfect Spanish has since then opened so many doors for me- I was often hired for jobs in college because I am bilingual, it was easy for me to get the teaching job of my choice, and now I have the opportunity to work with a wide variety of people in my blogging business because I am bilingual. So when the opportunity arose for our friends from Costa Rica to come to the United States and stay with our family for three months in order to learn English, I was more than happy to host them. Jef and Andrea grew up with my husband and are a college educated married couple in Costa Rica in their mid 30’s- homeowners, world travelers and all around good people. 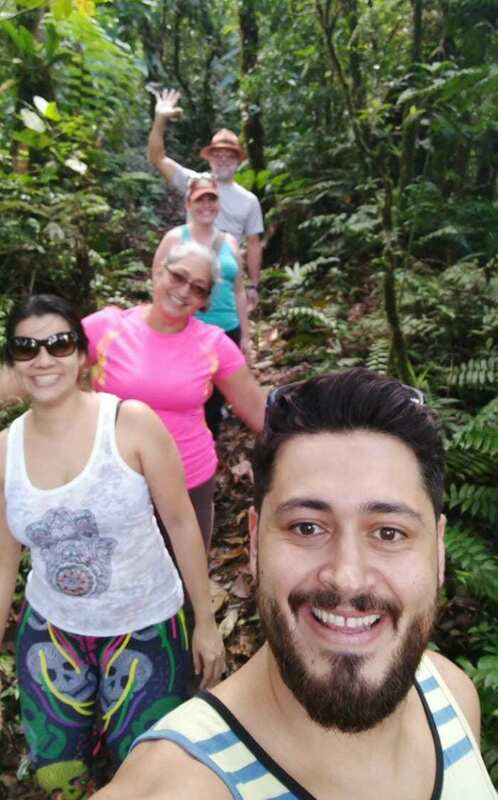 I had been teaching English to Jef online for about a year as he as ready to make a big career change from data analyst for a major Costa Rican national company when Andrea was downsized from her job working as a food engineer. The couple decided to come to live with us for three months to immerse themselves in English- and we were excited to have native Spanish speakers in the house to reinforce Spanish with our young children, whose first language is Spanish. It was to be the perfect cultural exchange. Jef and Andrea purchased tickets from Southwest airlines passing through Houston Hobby airport then to Denver. About 10 minutes before I was to leave to the airport to pick them up I received a call from United States Customs and Immigration (USCIS) letting me know that they had been detained and would miss their flight. I was given no further information, was called from an anonymous phone number. This was four hours after they had landed at Houston Hobby. I was immediately alarmed, as our family has had quite the share of problems with USCIS over the years. The whole family, bright and early at the San José Airport, about to optimistically embark on our journey home. About 8 pm I received another call from Jef, this time letting me know that he and Andrea had been denied entry to the United States and would be returned to Costa Rica the following day at 10 am. We were allowed 2 minutes to speak- Jef told me that their cell phones had been searched for 6 hours and USCIS had found evidence that they wanted to work in the US- despite them having almost $6,000 in cash, bank account statements with another $20,000 in cash available, a return ticket through Cabo San Lucas, and letter of invitation from our family. Jef also mentioned that in the time they had been detained they had been given packets of crackers, Ramen noodles and water. For some reason, Jef and Andrea’s departure back home to Costa Rica was delayed and they did not leave until 4pm the following day- making their total detention in the United States 27 hours. They never were successful at clearing US Customs and Immigration. I am shocked and appalled at how Jef and Andrea were treated during the USCIS process- and I will admit complete ignorance to the law that states that cell phones can be searched without cause upon entrance to the US. Because Andrea’s phone had a message from several months ago from a friend that told her not to worry about the months in the US- there would be work if they got into financial trouble and because there was a message on Jef’s phone from me from November of last year letting him know that if they got into trouble they could babysit- USCIS found Jef and Andrea guilty of visa fraud with intention to work in the United States. They were returned to Costa Rica and may not attempt to enter the US again for 5 years. I am also furious about the cell phone law- I find it ridiculous and out of context that cell phones can be seized and searched without probable cause. For many of us, our cell phones are a safe space where our most intimate conversations take place via text- and those were used against a couple who wanted to come and learn about the United States. In an attempt to prevent this type of treatment in the future, I am offering some tips. Tip #1: Have a Letter of Invitation– If you are headed to the United States to spend time with a family or to visit someone you know, ask them to write you a letter of invitation. Print that letter and have it on your person when passing through USCIS- do not have it on your cell phone. The letter could contain information such as the relationship between you and your host, your hosts’ contact information, your length of stay, etc. Tip #2: Know Where You Are Going– Have an exact address of where you are going and write that same address on your customs form. Tip #3: Clear All Data From Devices– Clear them. Just clear them. If the data is not there, it cant be searched. For more info read this awesome post from Business Insider about cell phone policies and Border Patrol. Lots of background in there about how successfully Clearing US Customs and Immigration has gotten harder over the years. Tip #4: Don’t Lie To Immigration– You can omit info- but don’t lie. Andrea was no longer working at her job in Costa Rica, but was being paid unemployment until partway through her trip. When asked if she had a job- she answered yes, even though she wasn’t working, she was being paid. A tricky situation, but when USCIS found info to the contrary on her phone, they didn’t like it. Tip #5:Bring Food And Water– Honestly, I know that Jef and Andrea were not fed and were not offered beds- they say in airport chairs in immigration for 27 hours. Bring food and water and prepare for the absolute worst when clearing US Customs and Immigration. Tip #6: Buy A Refundable Ticket– When I spoke of the situation to a friend, he asked about Jef and Andrea’s return ticket. I mentioned that they planned to return to Costa Rica through Los CAbos, Mexico three months after arrival. My friend had the best idea- he said they could have purchased a ticket with a return date two weeks in advance. When a person arrives to the United States USCIS will give them an amount of itme they can stay without penalty. After receving that stamp Jef and Andrea could have just changed their ticket to stay longer. That is an excellent idea. I want to hear from you- do you have an immigration story? Do you have advice for immigrants when clearing US Customs and Immigration? Please let me know in the comments below- disrespectful or racist comments will be deleted and ignored.